My graduate school commencement ceremony was fast approaching, and I knew it would be next to impossible for my dad to attend. My dad, who is in his 80s, is living with Alzheimer’s disease. Just the drive to and from the school would be a challenge for him, so I made arrangements for the assisted living facility to live stream the ceremony. Little did I know, my family had other plans in mind. My mom had asked the assisted living health coordinator if my dad would be able to make it to Emory & Henry and back. She said, “Yes!” and the entire staff was let in on the plan. The big surprise was underway. After hearing those words I broke down. I was so emotional, because I knew how difficult it was for him to make the trip. My brother Tim would drive him over so he could be there in person. That was the only graduation gift I wanted – for both parents to see me graduate. When I met my classmates to line up, I broke down again as I shared my good news with them. A few of my friends joined me in shedding tears of happiness. It wasn’t until I got to my seat that I saw my dad. He was wearing my school colors, including an ‘Emory & Henry Dad’ hat. He asked my mom why I was crying, and she told him I was so happy to see him. During the ceremony, I got up and walked over to him. I squeezed both his hands, smiled at him, gave him a kiss on the cheek and told him I was so glad to see him. His face lit up. I knew he was proud of me for what I had accomplished even if he had no idea what was going on. God planned it perfectly. Throughout the ceremony he was able to focus on me, his “punkin.” We looked at each other from the rows, smiling, waving, winking and mouthing “I love you.” Those were precious moments I will always treasure. On the way back to the assisted living my dad was his old self. He even cracked a joke! I was driving, dad was beside me in the passenger seat and my mom was behind me, when dad asked “Where’s mom?” “She is behind us,” I said. He gazed confusedly at the side view mirror, pretending to look for her and said “I don’t see her.” The whole car broke into laughter. I laughed so hard that my body was shaking and no sound was coming out. For two minutes my dad was back. He was his jokester self. Having him there with me was the perfect surprise and the best graduation gift. As many of you know, Alzheimer’s is a very heartbreaking disease. But throughout our “Alzheimer’s journey,” there has been light amid the darkness. I have learned to treasure every moment I spend with my dad, to laugh with him and to love him for being him. I thank God for blessing me with an amazing family and for making my graduation day one I will never forget. Even though my dad doesn’t remember that day, I always will. It was a day of light. About the Author: Sara Gearheart, 29, is a children’s director from Virginia. For the last five years, she has been the team captain for her Walk to End Alzheimer’s team “The Journey.” Sara is a caregiver for her dad who is living with Alzheimer’s. For all of us who are or have been care givers for our loved ones, this is a very touching story. We live for those moments of joy when we can share something wonderful with those we love. I lived for those moments with my mom especially when she would say something funny. What a blessing you had with your dad and mom on your graduation. Thanks be to God! My mother also suffer from Alzeimers, but she also would have some small moments of light, back to herself, we lived those moments and were very greatful to God and to her. It’s been 4 years she passed on, and we miss her greately. We all look back at those special moments and we all laugh, remembering how special she made us feel, even with that sickness, love crosses beyond all things! Your story touched my heart. Fathers are so special. I lost my Dad to Alzheimers in December of 2013. I still think about him and miss him everyday. I will always remember your lovely family, Sara. I cried when I read this story and I’m so happy that you shared it with the world! It was an honor to know your family while I was living in that part of Virginia! Give my love to your momma! Omg!!! I so remember telling you many times about live streaming to get dad to watch it. Y’all got me good and thank you for going along with the plan. I will tell mom that you read the story. Dad is about the same, just has declined a lot. Hope all is well on your end. This made me remember my high school graduation. It was one of the last times my grandmother was able to be out together with the family. That was 24 years ago and just having photos of that day with Nanny incuded mean so much to me. It wasn’t long after that she would be in care homes for the next 20 years as this damned disease quickly robbed her and us. She passed away a few years ago but her being able to be there that day is my best memory of graduation. I”m an E&H grad as well! So glad you and your father could have that time. This disease is so hard. You are wise to hold on to this joy and be fully present in this moment. Good for you Sara and congrats on your accomplishment! Your dad is proud and so am I. It is hard enough just taking care of your family, but here you are taking care of yourself too! Hang in there sister! from pneumonia related to his A – typical chronic myelogenous leukemia. give anything to have shared my graduation last year with both of them. What a wonderful and touching moment! I wish you more of them! To God be the glory! You keep on loving on your parents! Your dad will surprise you again, and again! Congrats on your special day! This is such a touching beautiful story. Thank you for sharing!!! What a complete and beautiful sharing of your graduation surprise! It must have been so wonderful for you to have your dad there! Clearly you were in this special moment and present to what can be created to include your family to make new memories! What a truly special day! Congratulations on your achievements and may you always hold every moment of you, your dad, his pride and the love of all of you together close to your heart! Sara—what a lovely story. I am so glad your Father got to attend, and to enjoy the day with his "punkin"!! 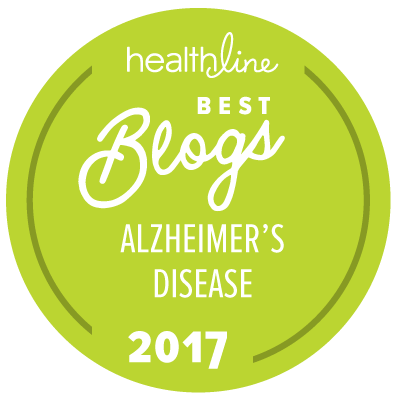 For the past 5 years I have been the primary caregiver for my bride of 55 years, who was diagnosed with Alzh. when she was only 70 years old. Days that we can share a laugh are few and far between now—but we have 60 years together as a couple to remember, along with 2 great children and 2 greandkids!! We took care of my mother too she lived with me. She fell and broke her hip at my sister’s house. So we went through two months of Rehabilitation and finally I brought her back home where she had lived with me. So I had moved her back in with us to a familiar place. The doctor said keep familiarity around her it would help her adjust. We made name signs that were three to five feet in length, so that when she woke up she could see the name and she knew who to call for. It helped her a great deal. We would have those moments, which were very rare, when she was eating or watching television and she would call out our names and we would be so surprised that she remembered us. Those were special times. And how funny she could be too with joking around. Like when she was flirting with my husband. It was so comical. I told her she couldn’t have him he was mine. I will never regret taking care of her at home. We always promised her we would. So we took turns caring for her. I still work. My daughter came to take care of her, my sisters and my brother too. I was very thankful for that. Thank you for the very moving story, God bless you. It’s a very touching story. As father’s day is approaching all who have been care givers to the Alzheimer’s will definitely relate to this. All 3 of my surviving siblings have Alzheimer’s, including my baby sister who is only 61. And this baby sister who took care of Mama for 6 years (and Mama was bedridden for 5 years) is in the severe stages of Alzheimer’s already. She has zero dept perceptions, a shuffling walk, and can no longer dress herself or even sit down. She is ready for a wheel chair. Still, she knows our extended family and our family stories. My oldest sister is in a Memory Care Center and is 73. She cries easily and is very stressed. And my brother at 71 has no visual disturbances but zero short term memory. I grieve for my siblings and pray for a cure. I also pray I escape this horrible disease. I lost my mom to alzheimer's in January 2015 at age 80. We were able to keep her home and daddy (age 90) was able to watch her and call us when needed. Once she became bedridden she only lasted about 4 weeks. I had asked God to not let her be in the bedroom alone when she passed and I was blessed to be holding her hand when she took her last breath. I would not want her back the way she was for anything, but I would do it all over again if necessary. We never know what we will have to do for our parents and many people do not recognize what an honor it is to take care of them the way they took care of us when we were little. I can’t help but remember how happy she looked once she passed. I believe her expression was to let me know she had seen God. How could anyone not be happy to make it into Heaven! This brought tears to my eyes!! I just lost my Dad who had Alzheimer's on May 18th. I too treasured every moment with my Dad. I was just always happy that he was alive and could talk to me, even if it didn't make sense. Thanks for sharing your beautiful story. Beautiful, beautiful story. I understand the importance of Dad being there for graduation. I'm in tears. Congratulations Sara! And thank you for sharing your wonderful story! What an incredible gift. That was so beautiful it brought tears to my eyes, I was there that day and I saw the joy in both of their faces!! Love you Aunt June. Thanks for being there on my special day! So wonderful you and your family were able to enjoy your graduation ceremonies. Alzheimer's may have robbed you of many happy times with your Father, but this was not one of them! A happy time with my Mother was when the whole family put on those goofy glasses with big noses and mustaches, sitting in a circle we laughed ourselves silly.